How to turn off a GoPro action camera isn’t always obvious, and it varies by model. But once you know how to do this, it’s a great way to save battery life and make sure the camera doesn’t start recording while stowed away in your backpack. 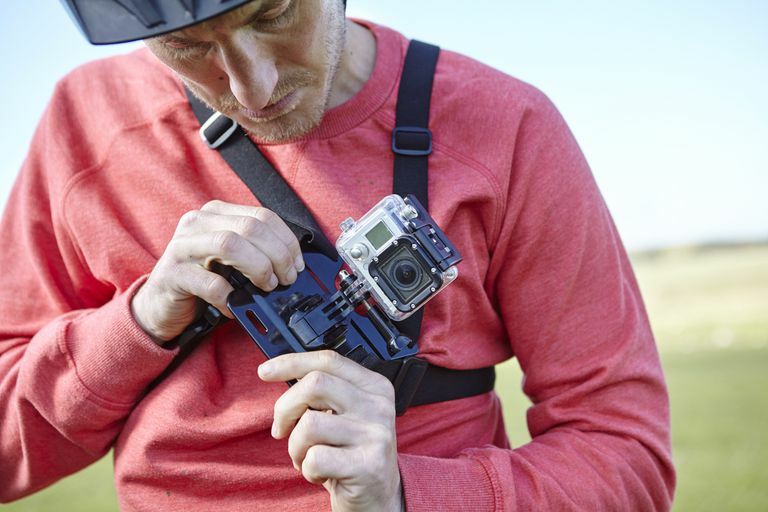 Shutting down a GoPro can often solve performance glitches or avoid overheating. Better yet, you can also set a GoPRo to turn off automatically. These instructions apply to the GoPro HERO7 Black, Silver, and White, the HERO6 Black, HERO 5 Black, GoPro Fusion, and GoPro HERO5 Session. If you have an older model, check your GoPro's manual. The instructions for the HERO7 series and the HERO6 and HERO5 are the same. Press and hold the Mode button for about two seconds. After you hear three beeps and the red LED blinks three times, the GoPro will power off. To set the GoPro to power off automatically, go to settings by tapping the wrench icon on the GoPro’s screen. Select Setup > Manual Power. Choose the idle time: 5 Min, 15 Min (default), 30 Min, or Never. The GoPro Fusion has a different process from the rest of the camera lines. Press and hold the Mode button for two seconds. The camera beeps several times and the camera status lights flash. Then the Fusion will power off. The Fusion automatically powers off after 7 minutes of inactivity. You can’t change this setting. The Fusion GoPro has a mode called QuikCapture in which the camera is only powered on when it’s capturing photos or videos. You can also record time-lapse videos in this mode. With Quikcapture turned on, you just press and hold the Shutter button until the Fusion beeps a few times and the status lights start blinking. To record time-lapse video, just keep your finger on the Shutter button until you’ve captured everything you need. Once you release the shutter, the Fusion shuts down. To turn Quikcapture mode off you have to connect it to the GoPro app and disable it in settings.